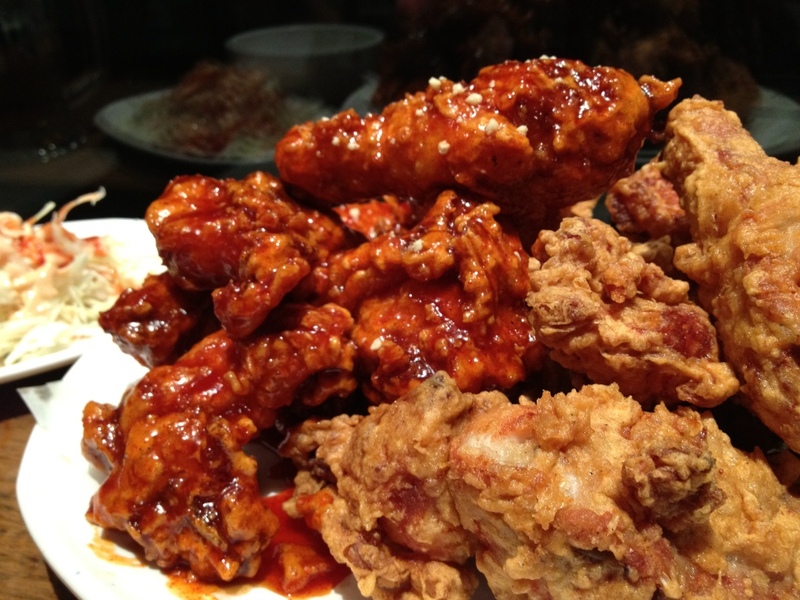 To begin our exploration of the Melbourne Fried Chicken Scene we headed to Gami since it topped our list and was the most raved about in the Melbourne fried chicken world of reviews. It turned out that reservations were key, but through a lucky fluke, a friendly Gami manager directed us to their second location. 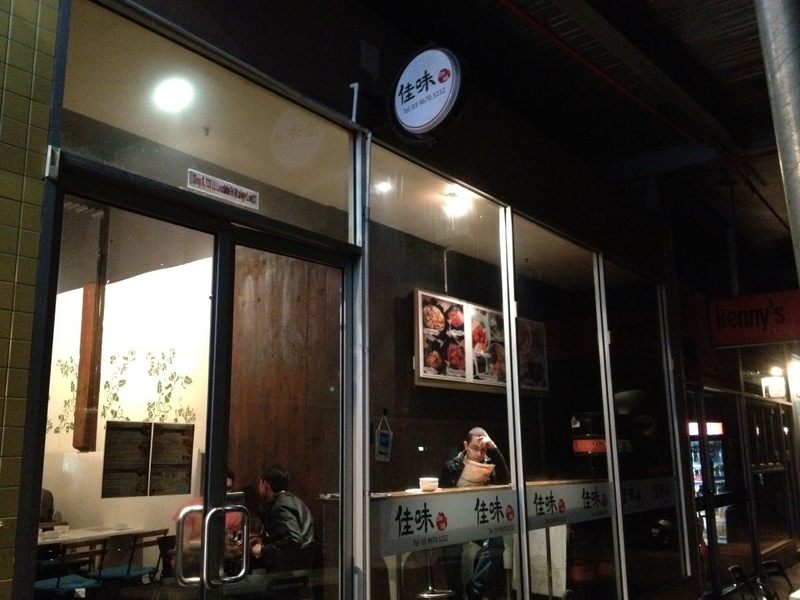 The main location is easy to find, but the secondary one is well hidden in a laneway amidst other Korean restaurants. We ordered a half/half dish of original and sweet chili fried chicken with a side of corn and cheese and two Gami brewed beers. Hollywood was overjoyed to discover that the dish consisted of 19, yes, 19 Chicken pieces! The Chick was hoping the quality didn’t suffer based on the quantity. 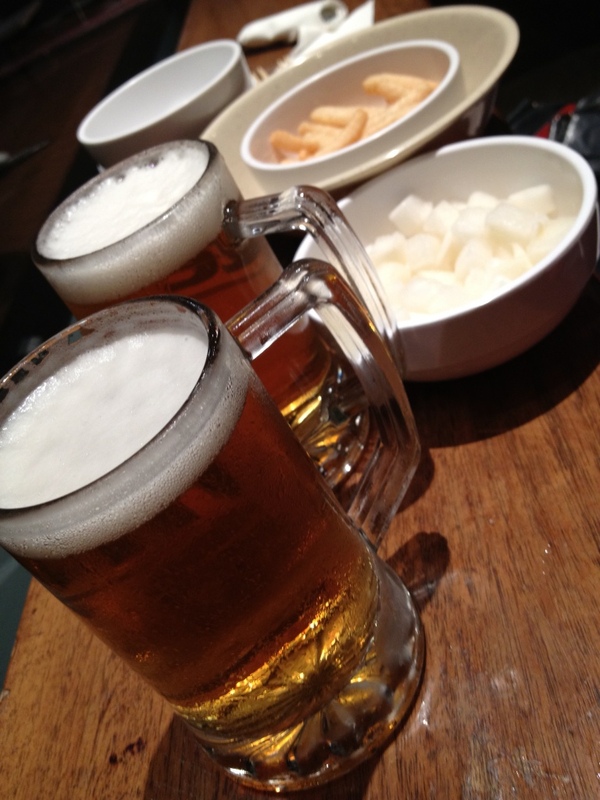 The beers came quickly with some start snacks that were shortly followed by the corn and cheese dish. 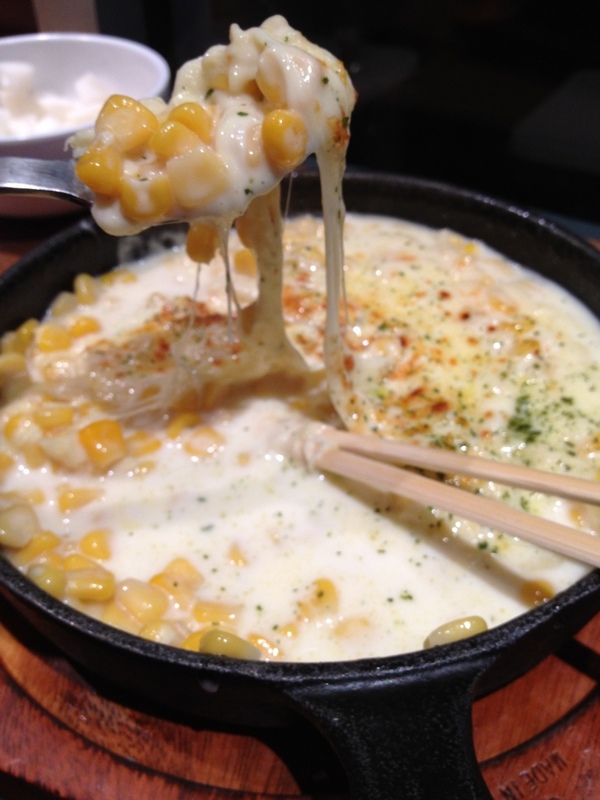 This was a skillet of corn kernels drenched in melted cheese. This was a great cheesy dish that is highly recommended, but a bit filling! The Chick was disappointed at the extra sweetness of the canned corn but had a hard time stopping her chopsticks from bringing globs of cheesy corn to her mouth. When the star of the night arrived, we gazed at the huge platter of 19 pieces of chicken and Hollywood exclaimed “I’m in heaven”. The chicken was piping hot, with nicely crispy skin and tender steamy meat. 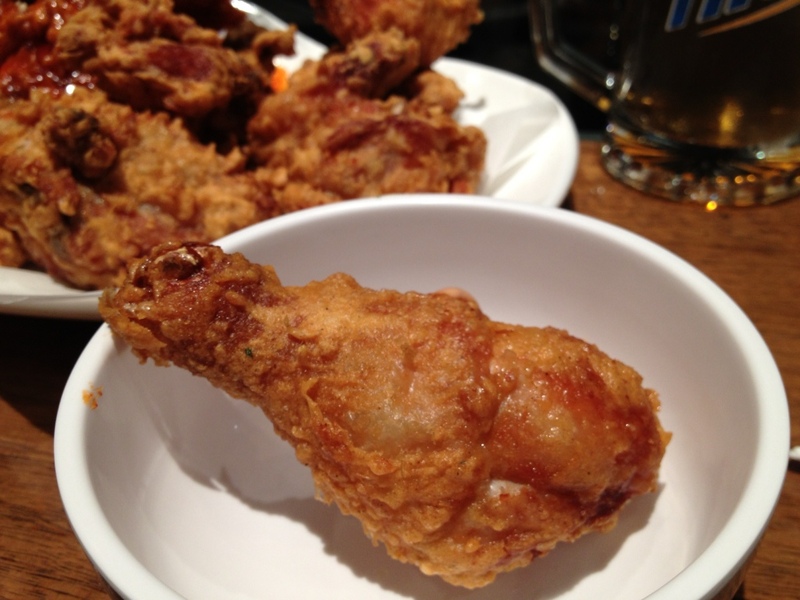 Being Korean fried chicken, the batter was thinner than southern fried chicken, almost like a beer batter, but not as fluffy. After more examination it turns out that the chicken was cut up into some odd shapes, to help with the cooking we guessed, or perhaps in a bid to use the entire chicken. 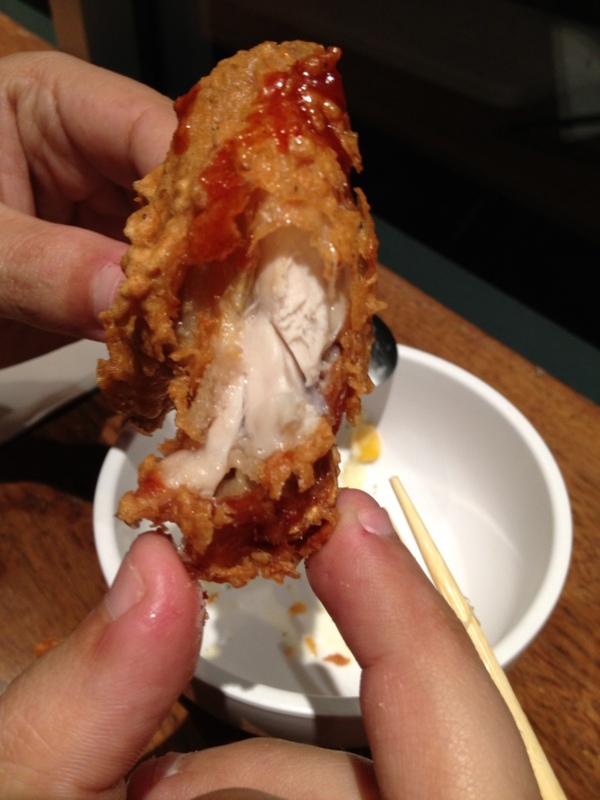 Some pieces had hardly any bones, like popcorn chicken! while othes had little meat. The sweet chili chicken was very saucy and not that spicey, but it had a lovely sweetness and was a bit more chewy than the original. 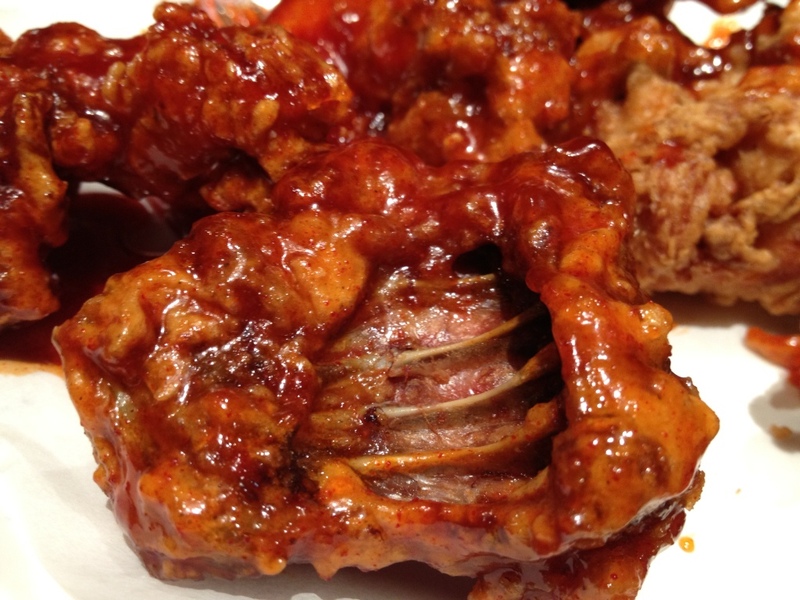 The Original was not seasoned heavily and let the chicken flavor and crispy skin shine through. The coleslaw side was a nice fresh touch, with a squirt of thousand island sauce. Beer was light and simple, not thrilling, but a good pairing with the chicken and a good price at 3.50/350 mL. 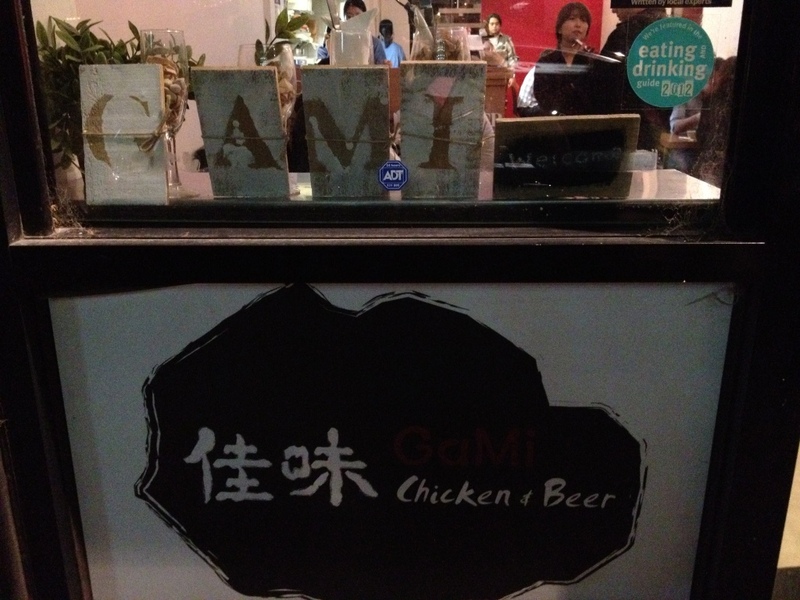 Overall Gami is a very good fried chicken place and so far it is our Melburnian go-to fried chicken place. 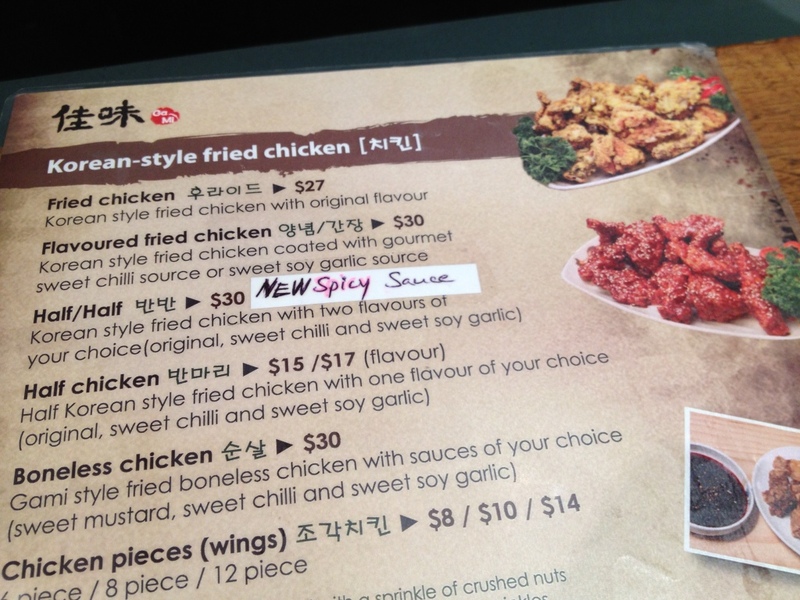 We must return to try the soy garlic and spicy fried chicken, but this time with more friends since we left 3 pieces un-eaten, which was a small food tragedy. Extra points for the really friendly manager who met us at both locations. Too bad we missed his name! I like to see that research is thoroughly underway…keep up these happy cluck-dates!